Boulder Knoll Community Farm is a small-scale, environmentally sustainable farm in Cheshire, CT that provides healthy, local produce to 66 shareholders as well as local soup kitchens. The farm is the creation of Friends of Boulder Knoll, a non-profit education and advocacy group for sustainable agriculture and sustainable communities. 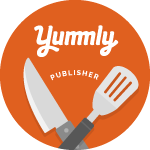 This September enjoy an evening at the farm all while helping to support their mission. Join them at a “Rustic Dinner on the Farm” on Tuesday, Sept. 4th from 6pm to 8pm. The dinner, a fundraiser for the organization, will feature a family-style dinner showcasing fresh farm produce and local ingredients. The dinner is being prepared by the Caseus chef Jason Sobocinski, with chicken provided by Certified Humane®’s Murray’s chicken, salads and sides fresh from the farm, and fruit pies for dessert. (The menu looks delightful.) Wine for the meal provided by Southend Spirits of Cheshire and music provided by Liz McNicholl. Honorary chairpeople for this event are Adele Douglass, founder of Humane Farm Animal Care Certified Humane® and Jason Sobocinski, owner of Caseus Fromagerie and Bistro in New Haven and host of The Big Cheese on Cooking Channel. In addition to food, drink and music there will be a silent auction where you can bid on items such as: a meal for 6 prepared by Elizabeth Ciarlelli, Dinner Tasting for Two with Wine Pairings at Zinc, Dinner for 4 at Heirloom, Boutique Jewelry, Virtual Assistant services, and more. 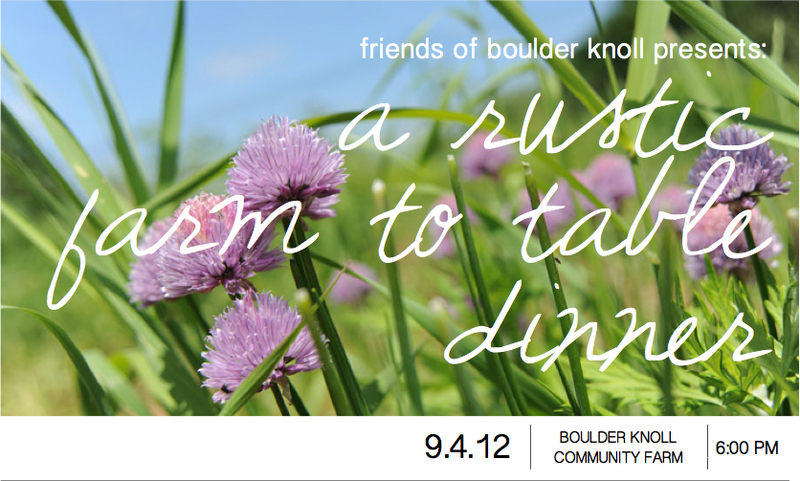 Tickets are $70 for members and $85 for non-members, and available for purchase online at http://www.friendsofboulderknoll.com/dinner. The dinner is presented with support from Caseus Bistro of New Haven, Certified Humane, Murray’s Chicken and Southend Spirits of Cheshire. The money raised from this dinner will support the organization's education and conservation programs. We are pleased to offer readers of Local Food Rocks a $10 discount on tickets, or $25 off a pair! Visit http://www.brownpapertickets.com/event/261118?discount=celebrate to see discounted prices and purchase tickets.